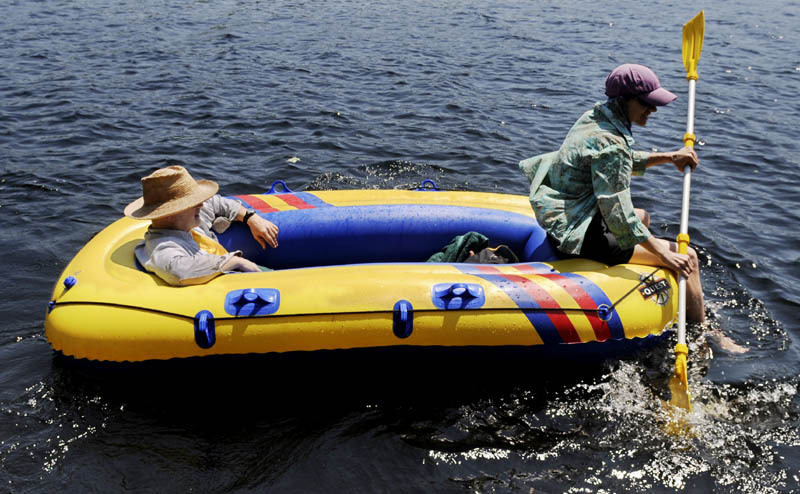 Tom Swann surveys Minnehonk Lake as Susan Melcher paddles a raft Sunday near their home in Mount Vernon. The couple was working in the garden when high temperatures compelled them to flee to the water, according to Melcher. “It is hot, hot, hot in the garden,” she reported.